Finding interesting things to do during the middle of winter can be a tough task, but the Downtown Danville Merchants Association has a free family-friendly event beginning Feb. 1 that will give everyone a fantastic reason to visit Hendricks County. Oh, and did I mention that free chocolate is involved? 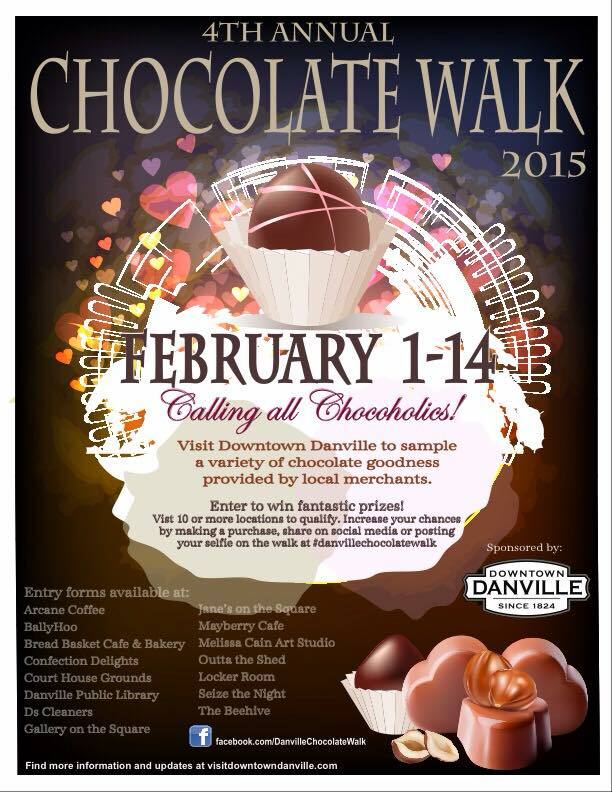 The fourth annual Danville Chocolate Walk begins Sunday and runs every day during normal business hours through Valentine&apos;s Day. My kids and I participated in last year&apos;s Danville Chocolate Walk, and we had a lot of fun. You start by picking up a hot pink signature card at any of the 16 Danville businesses who are participating in this year&apos;s event. Then, you go on your own time to the merchants -- during their normal business hours, of course -- in whatever order you want, and you check out each store&apos;s Chocolate Walk display. Meander around the shop, too, to see what else the vendor has to offer. Then have the merchants sign your hot pink signature card, and you&apos;ll also get a free chocolate treat! Woo hoo! Once you&apos;ve visited all of the shops on the Danville Chocolate Walk, turn your filled card in to any of the merchants, and as long as you&apos;ve been to at least 10 stores, you&apos;ll be entered in a drawing for a great prize! And this year, the Danville Chocolate Walk has an additional prize drawing: take a selfie inside a participating shop, or take a picture of a receipt from a purchase you made at a participating store, and post it to Facebook, Twitter and/or Instagram. Use the hashtag #DanvilleChocolateWalk so that organizers can find it, and you&apos;ll be entered in the drawing. "We want to take the &apos;Shop Small&apos; mentality that is so prevalent in our area during Christmas and extend it through Valentine&apos;s Day," said Danville Chocolate Walk chocolate-in-chief (I totally made that title up, but I like it!) Pamela Powell-Warden of Confection Delights. Speaking of Valentine&apos;s Day, the timing of this event couldn&apos;t be any better. We&apos;re all out there scouring the ends of the earth for just the right Valentine&apos;s Day gift for our significant others, and here are 16 small businesses who are loaded with terrific gift ideas, plus they&apos;ll give you free chocolate, and you can enter yourself in drawings for cool prizes. Visit any of these 16 participating Danville merchants to get started on the Danville Chocolate Walk! 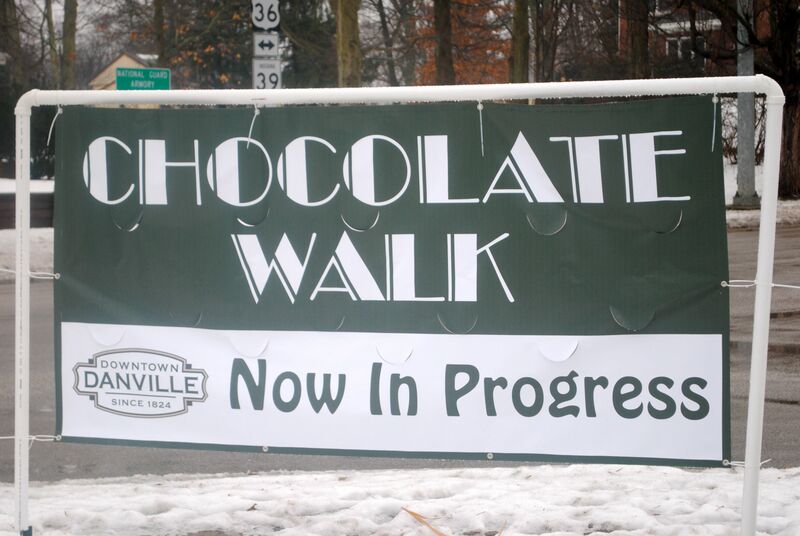 Be sure to "like" the Danville Chocolate Walk&apos;s new Facebook page, too, to stay up-to-date on all the comings and goings and to learn more about each participating business.